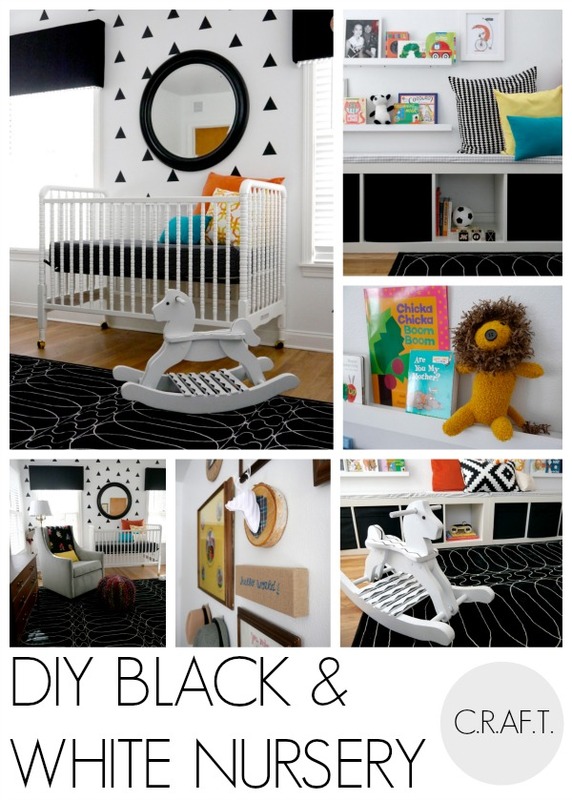 DIY black and white nursery - C.R.A.F.T. Maxwell is oh, 5 months old, and I’m finally getting around to sharing all of the deets about my favorite room in the house, the nursery! If you’re hopping over from Bliss at Home, Hi! 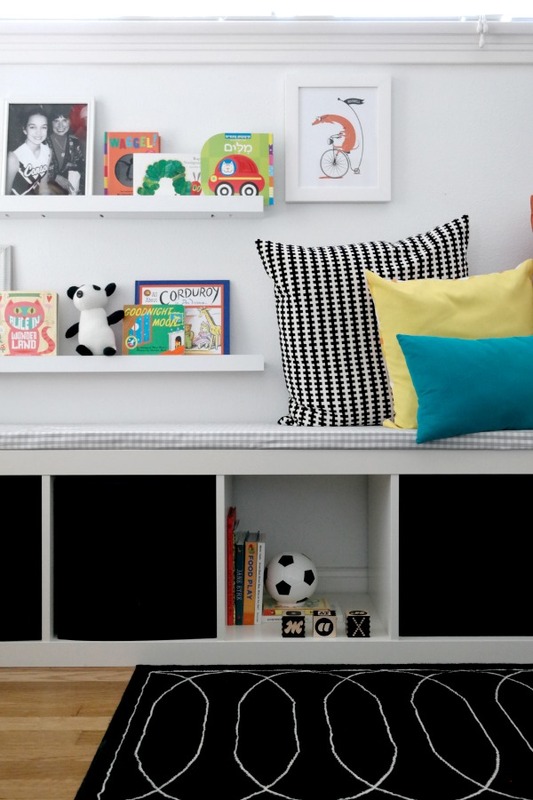 Thanks for stoping by… her black, white, and gold living room blows me away! 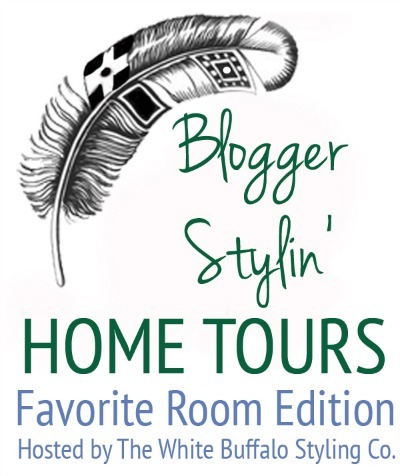 I’m participating in a Home Tours: Favorite Room Edition today that is organized by the lovely and very talented White Buffalo Styling Co! 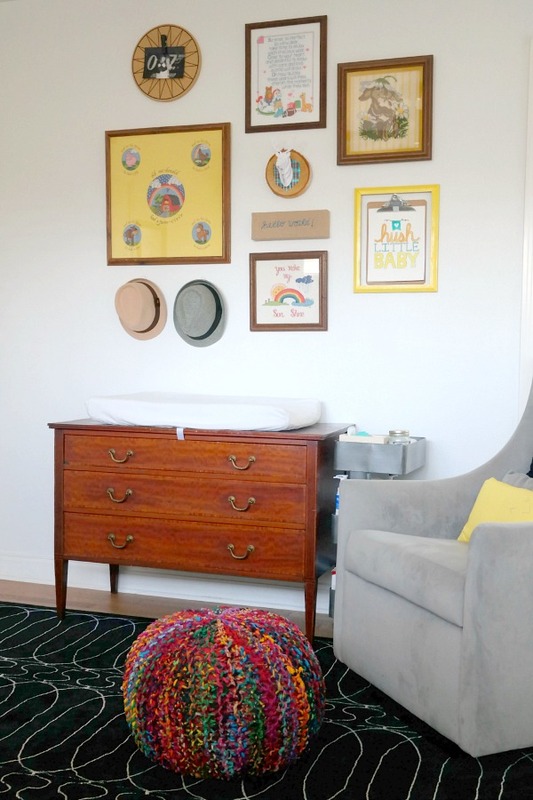 Back to my favorite room, I’ve shared tons of tutorials and pictures on Instagram of the nursery, but this post has it all… links to tutorials, source list, and all of the room deets! 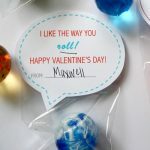 If you’re new here, you can check out these posts leading up to baby Maxwell: Spilling the beans and 10 nursery must haves. 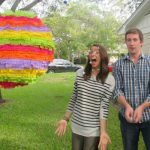 You can also see our gender reveal party, family DIY pregnant Halloween costume, my pregnant tacky Christmas sweater, maternity pictures, birth announcements, and tons of adorable current pictures of him on instagram! My mom and I did this room together! We DIY-ed a ton of things and put a lot of love into it! The anticipation of a nursery is so much fun! I’m happy I love it, because we really do spend a ton of time in here… We sleep, eat, change diapers, and play here too! The Jenny Lind crib: It’s classic! 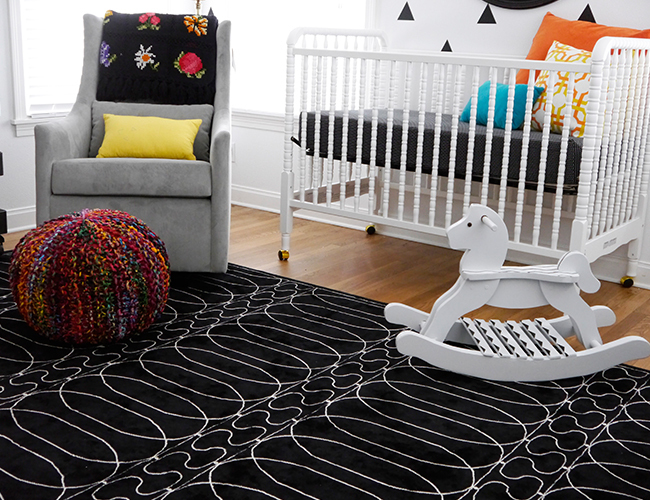 The great rug hunt: Rugs are tricky. And heavy. Graham the Glider: A story about how I was in the right place at the right time. Rocking horse makeover: A $15 Craigslist find, ya gotta see the before! Nursery gallery wall: My mom’s cross stitches and a few other goodies from around the house made a free nursery gallery wall! 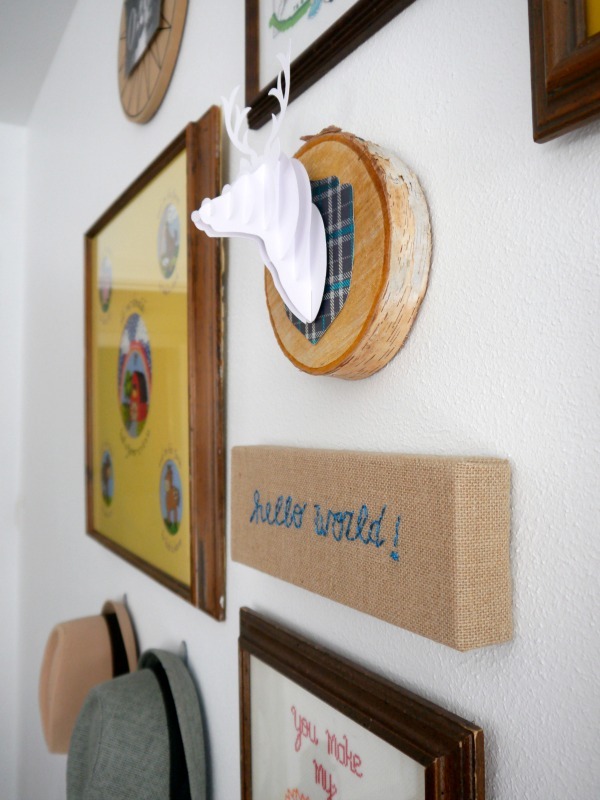 How to embroider burlap: The only thing I bought was the burlap canvas! Changing table: $50 Cragislist score! And that reminds me I need to share the tutorial about how we stabilized the changing pad on top of the dresser! 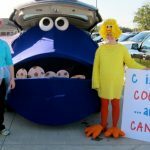 How to make easy valances: My mom and I made these out of insulation and felt! 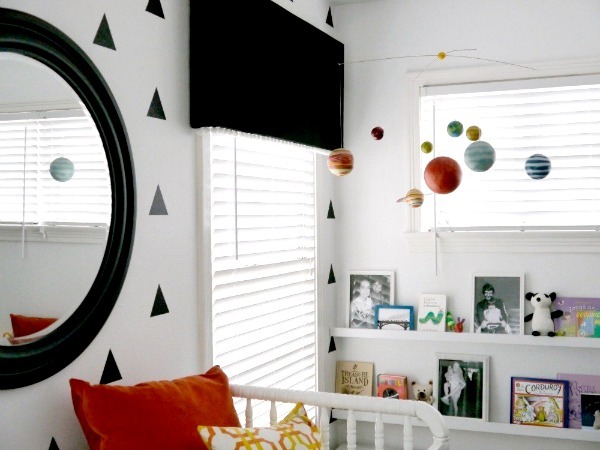 Mirror hanging trick: The big bad mirror. 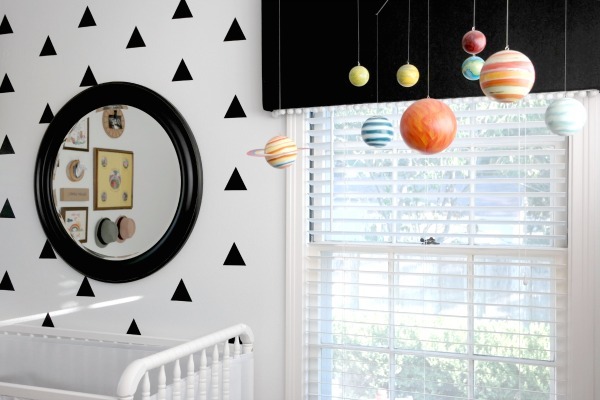 Triangle feature wall: Removable vinyl. It’s awesome. 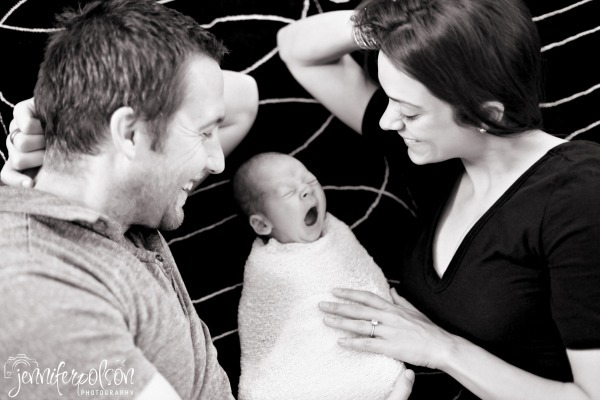 Maxwell’s newborn photo shoot: Oh the cuteness! How to make envelope cushions: You only have to sew 2 straight lines! Easy! How to sew a pillow: Another ridiculously easy sewing project. I made these for our living room in Florida, and am reusing them in the nursery! 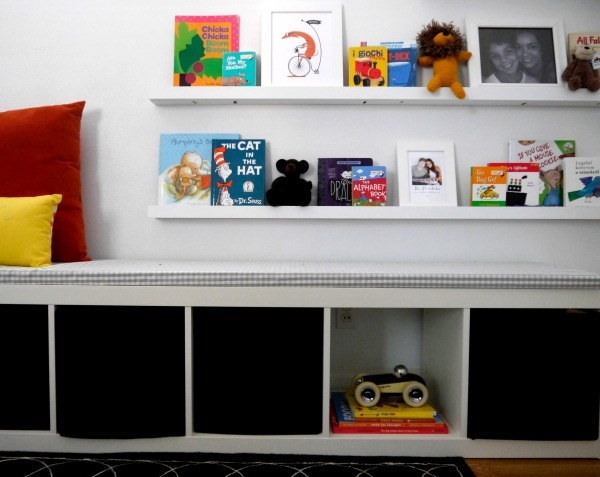 How to make book ledge shelves: We made 7 shelves for under $60 bucks! 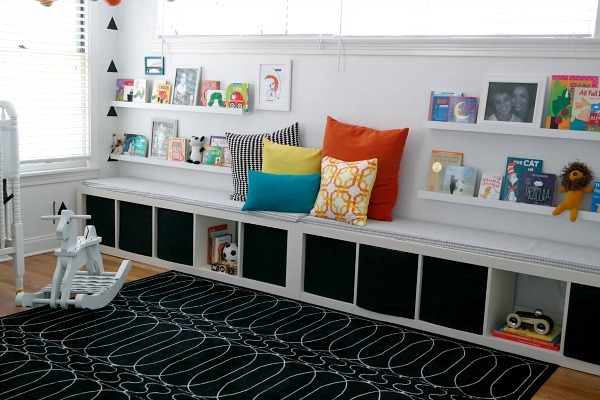 A few more fun things: The top book ledge shelf is his international book collection! 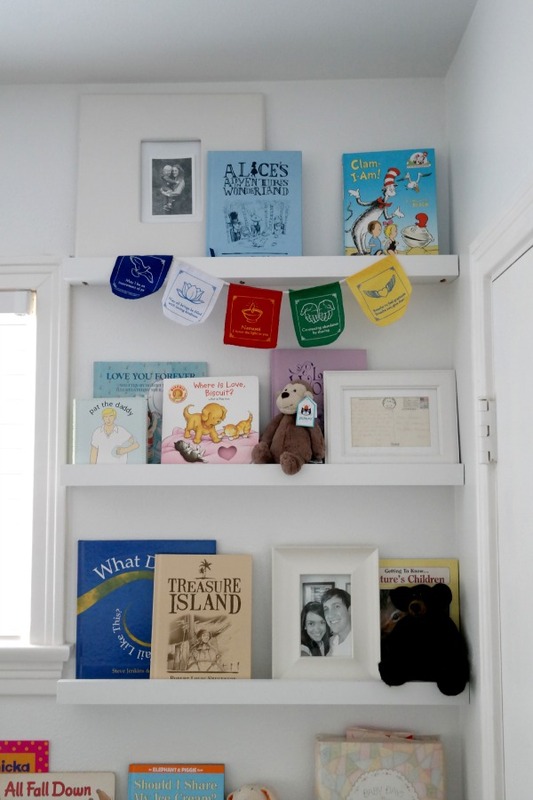 We’ve added some other fun things to the ledge shelves too, besides just books: Framed post card from Andy’s dad to Andy when he was a little boy, prayer flags sent to Maxwell from his Grandma, Andy’s baby book, and a hand felted teddy bear a friend made! And a few more pictures, just for fun! And here’s my sweet family laying on the floor in Maxwell’s nursery watching him yawn, oh how we heart this little man! 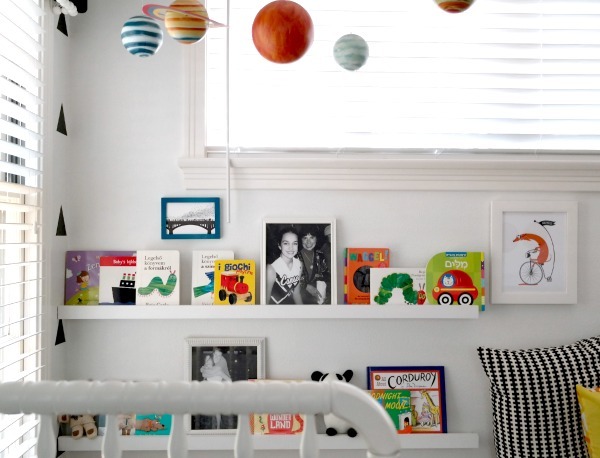 For lots more nursery pictures, Maxwell’s nursery was featured on Apartment Therapy and Inspired by This! 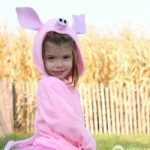 And now hop on over to Primitive and Proper to see her favorite room! 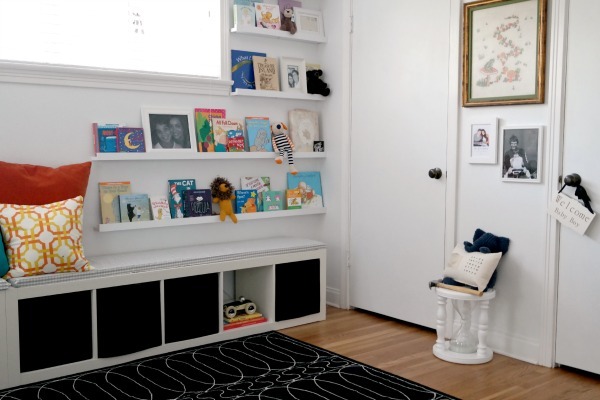 such a beautiful space- love the contrast and i love that you brought in a warm wood dresser! i love black, white, and wood! I love his room. I think the best part about the space is that he can easily grow into it too.